Shared hosting doesn't have to be slow and cumbersome. Our shared hosting platform is underpinned with Amazon Web Services (AWS) allowing us to utilise world class infrastructure to create the ideal Joomla! environment. We settled with Plesk as the control panel of choice and in doing so have been able to provide clients with tools that will make managing their hosting environment crazy easy. These include automated backups to Dropbox, Git deployment, Let's Encrypt SSL certificates all accessible quickly and easily. Our servers offer multiple versions of PHP, and your choice of Nginx, Apache or Nginx as a reverse proxy to Apache. This allows blazing speeds and the ability to allow for unique setups tailored to specific site requirements. We know that running your own site can be a minefield of technical hurdles. 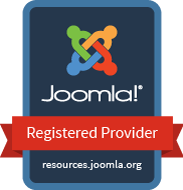 For that reason, we offer our hosting clients VIP rates on ad-hoc Joomla! support. If you can't do it yourself we will always be beside you and ready to assist. For those that don't want the hassle of maintenance to get in touch and find out about our Maintenance Agreements and let us do the work for you. Peace of mind starts with simple yet effective maintenance and support. Support is for issues relating to your subscription and/or site only, we take 100% responsibility for any server related issues. Built on high-performance AWS EC2 instances for absolute peace of mind. Apart from space and bandwidth, there are no limits!